The first part of the green loop was fun. 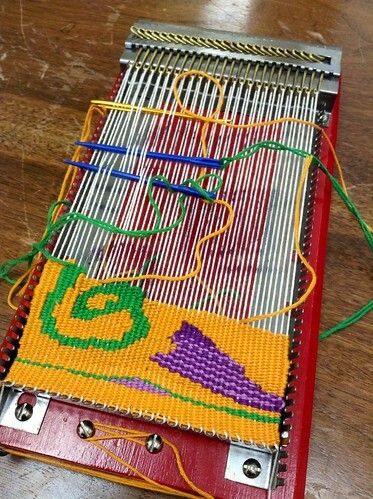 Drawing a spiral with a marker on the warp threads is one thing… actually weaving it is another. I was surprised that it moved along really quickly. There are areas here and there with warp threads peaking out. I’m having some trouble beating the weft enough to cover them because the warp threads are a bit loose.